I cannot even begin to describe my love for this band. 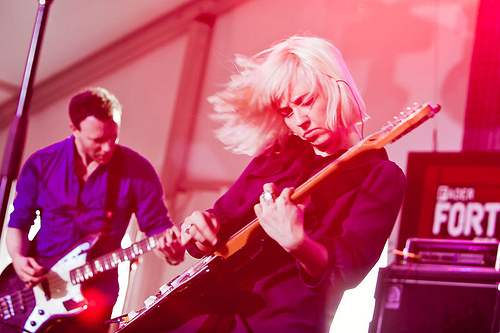 The Joy Formidable is one of the most amazing bands I have had the pleasure of listening to. Every single one of their songs is pure genius! I absolutely cannot get enough of their song “Endtapes”. Endtapes is a song on the soundtrack of Twilight; Breaking Dawn. This song is just so pure, I can feel it reach into my soul, it makes me want to jump and dance every time I hear it. Another few of my favorites include “Whirring”, “Austere”, “I Don’t Want To See You Like This”, and “A Heavy Abacus”. Please give these links a listening to! !